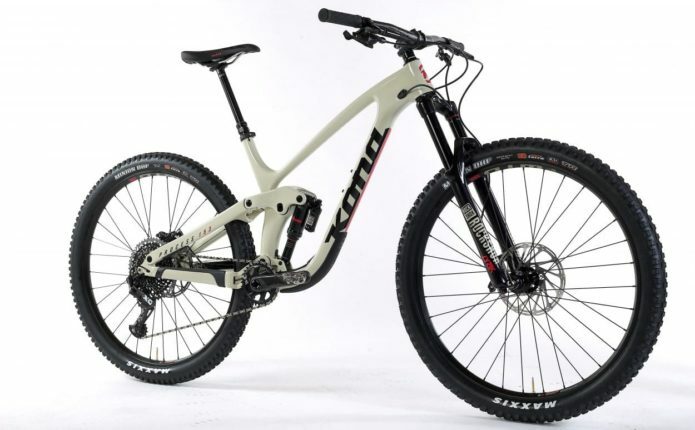 The crew at Mountain Bike Action loved the carbon 27.5 version of the Process G2 so much that they gave it an Editors Choice Award in 2018. With that accolade in the bag, we knew we just had to get them on the 29″ wheeled version. Well, it seems they loved the Process 153 CR DL 29 just as much, it surprised them with it’s climbing ability but when it was pointed down, is where it really stood out for them. You can find the full review on the MBA website here or you can click on the below image and read it as a PDF. Mountain Bike Action have been riding the all-new Satori DL for a few months now and they have just posted their review live online at MBAction.com. MBA gave the Satori DL props for its climbing, descending as well as its build. You can check out the full review on MBAction.com here and you can check out the new Satori bikes here. Mountain Bike Action has recently reviewed the Hei Hei Trail in their May issue and we have the full review right here on the Cog. Click here or on the image below to read the full review in high res PDF. Mountain Bike Action‘s December issue features coverage from our product launch this summer in Squamish, BC. Brandon Castelli joined us at the launch, and did a great job of covering both the context and the new bikes. Read the full story in high res PDF here, and subscribe to MBA here. The March issue of Mountain Bike Action is out now and it features a massive Trail Bike Shootout, wouldn’t you know it, the 2016 Process 134 (spoiler alert) came out on top. Click HERE to read the full review and be sure to check out their latest issue, available where good magazines are sold as well as online. 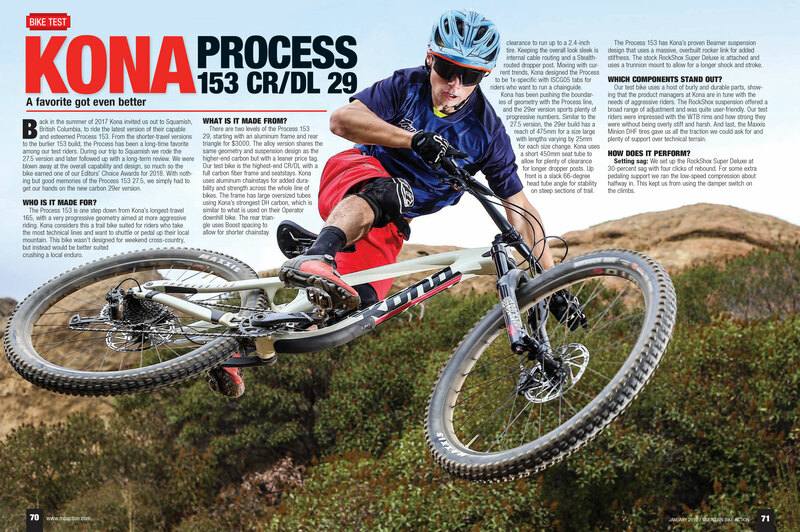 The January issue of Mountain Bike Action features a fantastic review of our new Hei Hei Trail DL. Click HERE to read the full review and be sure to check out their latest issue, available where good magazines are sold and online.